BROWNSVILLE — Winter Texans and locals alike are wading into new territory when it comes to securing their spots in Cameron County coastal parks, and the department head leading the charge hopes it becomes routine. 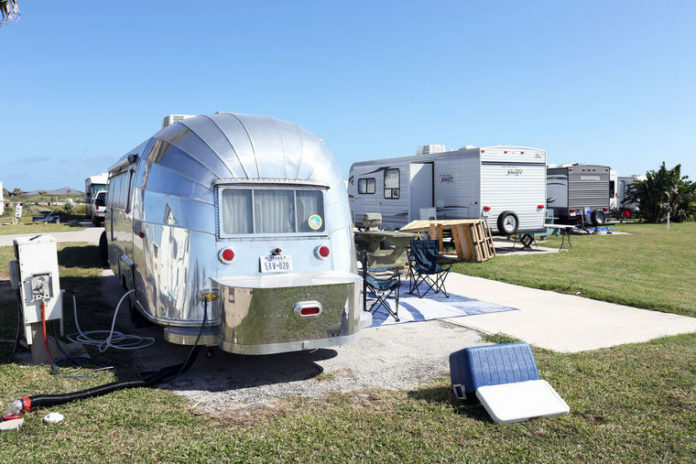 The parks saw 16 winter reservations for cabañas, RV sites and tent sites made during the first week its new online reservation system went into service, Cameron County Parks Director Joe Vega said. While snow birds continue to steadily make their way to coastal parks, he said his staff will work with the company that created the system to fix any bugs in preparation for the larger influx expected when summer reservations open Jan. 15. As long as visitors have a device with internet access, he added, they can book their stay at Isla Blanca, Adolph Thomae and Andy Bowie parks. After selecting the park and type of reservation they want to make, the website will display a map of the park where users can enter the dates on which they want to visit. Users can narrow their search by site number, hookup types, amp service and more. Looking at the January 2018 turnout of visitors ready to make their summer reservations, it’s no surprise Vega’s office is spreading the word about its new website feature that’s aimed at making the process smoother. Hundreds of people camped outside the parks office on South Padre Island — despite warnings against doing so — to get in line and claim their park site. Visitors even made an unofficial ticket system to organize their unofficial line, and Vega estimates 300 people turned up in-person. That’s in addition to visitors who called in reservations over the phone. Hamer Enterprises, which manages the county’s credit card payment services, created the custom reservation system at no additional cost. Rather, Vega said, their payment will come from a convenience fee. He added that staff talks to company representatives daily to ensure it’s working as needed. “We wanted to make sure the system we developed was one that was going to benefit our guests and staff,” Vega said. Phone reservations can be made at Isla Blanca Park at 956-761-5493 or 956-761-5494, Andy Bowie Park at 956-761-3704 and Adolph Thomae Jr. Park at 956-748-2044. Summer registration will begin Jan. 15, and reservations for next winter will open April 20.